These program Terms and Conditions constitute an agreement between you and NOVA8516 LP, Dunne Manning Stores LLC (d/b/a Hy-Miler Convenience) and their parent and subsidiary entities, affiliates, shareholders, officers, directors, employees, agents, attorneys, representatives, partners, successors and assigns (collectively, the “Company”). Please read these Terms and Conditions carefully before registering or otherwise participating in the Hy-Miler Loyalty Rewards program (the “Rewards Program”). 1. The Program. The Rewards Program is available only at participating stations and Rewards savings earned through the Rewards Program may be earned only on qualifying purchases made at participating stations. 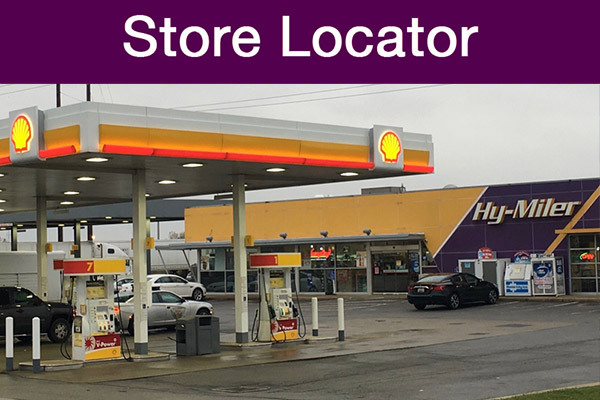 To locate stations participating in the Rewards Program in your area, visit www.hymiler.com. Qualifying purchases and savings values for program offers are subject to the specific terms and conditions of the offer as set forth in the promotional materials. 2. Activating Your Card. Activate your Rewards card at www.hymiler.com to manage your account online and track Rewards savings earned through the program. No more than one (1) card can be linked to your account at a time. Rewards savings cannot be transferred to another card account. 3. Earning Rewards. Present your card when you purchase specially marked products, car washes and auto services at participating stations and earn Rewards savings through the Rewards Program. 4. Redeeming Rewards. Savings earned through the Rewards Program may only be redeemed at participating stations. To redeem your Rewards savings earned through the program at the pump, follow the prompts to complete your transaction. Insert your card before you insert your payment card. Select your form of payment and fuel grade. The price will roll down based on the number of Rewards savings available in your account. For purchases of $75 or more, please go inside to pay to maximize the gallons (up to 20 gallons) available for redeeming your Rewards savings. If paying inside, show the cashier your card before paying. After you redeem Rewards savings, those rewards are automatically deducted from your account. 5. Age Limitation. You must be at least eighteen (18) years of age or older to participate in the Loyalty Rewards Program. 6. General Program Limitations. 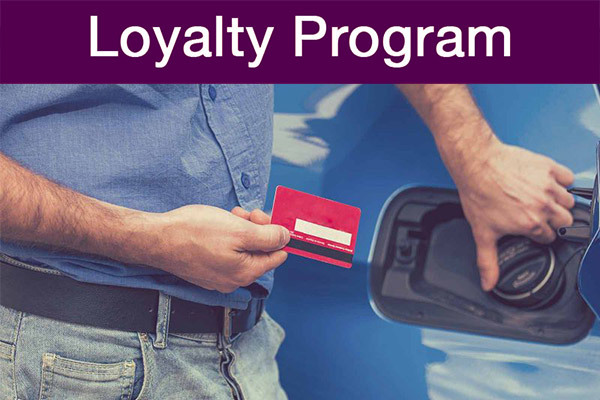 Rewards savings are limited to 20 gallons of fuel per purchase per vehicle, or fraud limits placed by the Company or by your financial institution, each of which may be lower. Certain products such as some unbranded diesel and alternative fuels may not be eligible for redeeming Rewards due to dispenser technical issues. Savings are subject to a maximum required price per gallon charge of 10 cents due to technical limitations, therefore discounts above the price per gallon of gas that are not redeemed will be retained on your card. In the case of any failure by you to follow these Terms and Conditions or any other terms or conditions applicable to programs or offers in which you may elect to participate as part the Rewards Program, or any other fraud, misrepresentation, or abuse related to the Rewards Program, as determined by us in our sole discretion, we reserve the right to make any adjustments to your account at any time and to take appropriate administrative or legal action. In such a case, some or all of your rewards earned through the Rewards Program may be forfeited and your account closed, and we reserve the right to seek reimbursement from you for the cost of any reward you receive upon redemption of rewards that are subsequently deducted from your account. NO REWARD MAY BE REDEEMED UNTIL IT HAS BEEN CREDITED TO AN ACCOUNT. REWARDS HAVE NO CASH, MONETARY OR OTHER VALUE, CANNOT BE CONVERTED INTO ANY CURRENCY, CANNOT BE APPLIED AS CREDIT TO ANY PAYMENT CARD STATEMENT, AND MAY BE CANCELED AT ANY TIME. SPECIFIC REWARDS MAY EXPIRE UNDER THE TERMS OF THE PROMOTIONAL PROGRAMS OR OFFERS ESTABLISHED BY US OR AN ISSUING PARTICIPANT. Transactions upon which rewards are earned or redeemed may be made directly with a sub-contractor, dealer, agent, assign, or other affiliate of the Company, and the Company has no responsibility for the design, delivery, use, standard, quality or otherwise of any goods or services sold by third parties through the use of the Rewards Program. You must provide and maintain current, complete and accurate information in connection with your account. You agree that you will not, and will not permit others to: (i) provide any purposely inaccurate information (including a false e-mail address), or commit fraud or falsify information in connection with your account; (ii) provide any unauthorized third party with access to the Rewards Program or any information, offers, data, text, photographs, links, images, software, chat, communications, interactive features and other content generated, provided or otherwise made available through the Internet and proprietary to the Company by any means; (iii) modify, reverse engineer, reverse assemble or decompile any of the software applications used by you in connection with your participation in the Rewards Program; (iv) engage in any activity that does not comply with U.S. law or other applicable law and regulations (including federal, state and local laws and regulations) or otherwise engage in any illegal, manipulative or misleading activity through the use of the Rewards Program; (v) introduce into the Site any code intended to disrupt the Rewards Program or Site, alter or delete its content, access confidential content on the Site or interfere with the operation of the Rewards Program, including, but not limited to, distribution of unsolicited advertising or mail messages and propagation of computer worms and viruses; (vi) attempt to access any data not intended for you or attempt to scan or test the security or configuration of the Site or to breach security or authentication measures without proper authorization; (vii) post any material in any form whatsoever on the Site or within the Rewards Program that is defamatory, obscene or otherwise unlawful or violates any third party's right of privacy or publicity; or (viii) infringe any third party's patent, copyright, service mark, trademark or other intellectual property right of any kind or misappropriate the trade secrets of any third party in connection with your use of the Rewards Program or the Site; (ix) use fictitious Rewards Program or otherwise fraudulently obtain rewards, or (x) otherwise act in a fraudulent, illegal, malicious or negligent manner when using the Rewards Program or the Site. 7. Expiration of Rewards. Savings earned through the Rewards Program expire ninety days from the transaction date. The amount of rewards earned in each purchase transaction, the total amount of earned rewards and the reward amount expiring at the end of the current month will appear on your receipt. From time to time, the Company may give your information to carefully selected third parties for fulfillment of the activities set out above. If we transfer your information in this way, we will take steps to help ensure that your privacy rights continue to be protected. We may use third parties for the fulfillment of our obligations hereunder. However, except as set out in these Terms and Conditions, we will not disclose any personally identifiable information without your permission unless we are legally entitled or required to do so, if we believe that such action is necessary to protect and/or defend our rights, property or personal safety and those of our users/customers, etc., or if necessary to fulfill our obligations pursuant to the Rewards Program or these Terms and Conditions. In the event the Company, or any part thereof, is acquired by another company, we may transfer your information to that company and that company may use your personal data in accordance with these Terms and Conditions. The Company may receive personal data about you from third parties. In such event, we may add this data to the data we already received from you for the purposes described in these Terms and Conditions. If at any time the Company offers any e-mail, feedback or forum facilities, we may collect the information which you disclose. Such information will be used in accordance with these Terms and Conditions. The Company cannot be responsible for the privacy policies and practices of other parties. We recommend that you check the policy of each site you visit and contact the owner or operator of such website if you have any concerns or questions. If you post content or submit information or material to the Site, linked, through social media accounts administered by or for the Company, through email directed to us, through blogs, or through other communications, and unless we indicate otherwise, you grant to the Company a nonexclusive, royaltyfree, perpetual, irrevocable, and fully sublicensable (through multiple tiers) right to use, reproduce, modify, adapt, publish, translate, create derivative works from, distribute, perform, display and otherwise fully exploit such content, information and material, with or without the name that you submit in connection with such content, information or material, throughout the world in any media now known or later developed. You represent and warrant that you own or otherwise control all of the rights to the content, information and material that you post; that such content, information and material is accurate; that use of such content, information and material does not violate these Terms and Conditions or the rights of any third party, and will not cause injury to any person or entity. The Company has the right but not the obligation to monitor and edit or remove any activity or content. The Company takes no responsibility and assumes no liability for any content posted by you or any third party. 9. Ownership and Trademarks. The Company, or the applicable third party owner, retains all right, title and interest to and under all patents (including all reissues, divisions, continuations and extensions of such patents) patent applications trademarks, trademark registrations, service marks, trademark registration applications, tradenames, domain names, all other names and slogans embodying business, product or service goodwill, copyrights, computer software, specifications, data, designs, trade secrets, technology, diagnostic tools, inventions, know-how, processes and confidential and proprietary information and any other intellectual property or other right, in all information and content (including all text, data, graphics, and logos) in the Rewards Program and on the Site. The Company may enforce all rights to the full extent of the law. Without prior written consent, you are strictly prohibited from, including, without limitation, modifying, copying, transmitting, distributing displaying, performing, reproducing, publishing, licensing, framing, creating derivative works from, transferring or otherwise using in any other way for commercial or public purposes, in whole or in part, any information, text graphics, images, video clips, directories, databases, listing or software obtained from the Rewards Program or the Site. Systematic retrieval of content from the Site to create or compile, directly or indirectly, a collection, compilation, database or directory (whether through robots, spiders, automatic devices or manual processes) or creating links to the Site without written permission is strictly prohibited. Nothing in the Rewards Program or on the Site shall be interpreted as granting any license or right to use any image, trademark, logo or service mark in the Rewards Program or on the Site. Unless otherwise specified, the Site is for your personal and non-commercial use only and you may print, copy and download any information or portion of the Site for your personal use only. Copying or downloading material from the Site does not transfer title to any material on the Site to you. If you copy or download any information or software from the Site, you agree that you will not remove or obscure any copyright or other notices or legends contained in any such information. You are prohibited from using any marks for any purpose including, but not limited to, use as metatags on other pages or sites on the World Wide Web without the written permission of the Company or such third party, which may own the marks. You will not upload, post or otherwise make available on the Site any material protected by copyright, trademark or other proprietary right without the express permission of the owner of the copyright, trademark or other proprietary right. You recognize the value of the goodwill associated with the Rewards Program and acknowledge that the Rewards Program and the Site and all rights therein and goodwill pertaining thereto belong exclusively to the Company. You further agree that it is critical that such goodwill be protected and enhanced and, toward this end, you shall not during the term of your membership in the Rewards Program or thereafter: (i) attack the title or any rights of the Company in or related to the copyright, trademarks, patents and other intellectual property in the Rewards Program and/or the Site; (ii) do anything either by an act of omission or commission which might impair, violate or infringe the copyright, trademarks, patents, and other intellectual property in the Rewards Program and/or the Site; (iii) claim (adversely to the Company or anyone claiming rights through the Company) any right, title or interest in or to the copyright, trademarks, patents, and other intellectual property in the Rewards Program and/or the Site; (iv) misuse or harm the copyright, trademarks, and other intellectual property in the Rewards Program and/or the Site or bring the Rewards Program into disrepute; (v) for your benefit, directly or indirectly, register or apply for registration of the Company’s trademarks or any mark which is, in the Company’s reasonable opinion, the same as or confusingly similar to any of the Company’s trademarks; (vi) for its benefit, directly or indirectly, register, maintain or apply for registration of a domain name which is, in the Company’s reasonable opinion, the same as, confusingly similar to or incorporates any of the Company’s trademarks, and/or (vii) engage in behavior we deem to be abusive to us, our employees, or to the Rewards Program. 10. License and Site Access. The Company grants you a limited license to access and make personal use of the Rewards Program website, www.hymiler.com, and any related mobile applications and mobile websites (collectively, the “Site”). This license does not include any resale or commercial use of the Site or its contents. The Site or any portion of the Site may not be reproduced, duplicated, copied, sold, resold, or otherwise exploited for any commercial purposes without the express written consent of the Company. THE COMPANY CANNOT AND DOES NOT GUARANTEE CONTINUOUS, UNINTERRUPTED OR SECURE ACCESS TO THE SITE. You acknowledge that there may be interruptions in service or events that are beyond our control. The Site may be unavailable from time to time for any reason including, without limitation, routine maintenance. 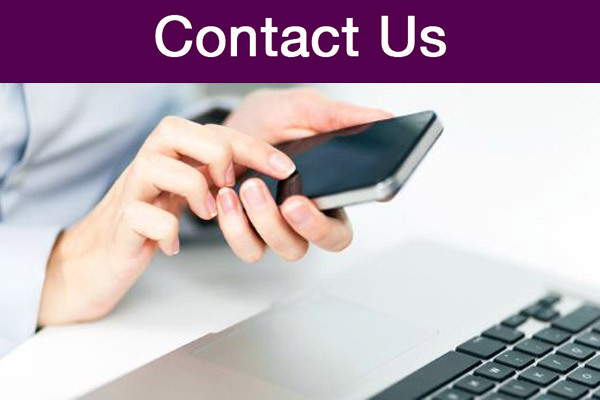 We retain the right at our sole discretion to deny service or access to the Site to anyone at any time and for any reason. Certain parts of the Site will be password protected and accessible only to users with valid usernames and passwords. Only you are authorized to use your password. Any transfer of passwords to, or use of passwords by, an unauthorized person is strictly prohibited. You will maintain the confidentiality of the user IDs and passwords by which you access the Rewards Program and the Site, and will allow access to the Rewards Program and the Site only by authorized persons, and not by any program, expert system, electronic agent, "bot" or other automated means. You acknowledge that neither the Company nor any third party will contact you to solicit your user ID or password. Therefore, you should not provide your user ID or password to any person whom you do not authorize to use your Account. Any use of your assigned user IDs or passwords will be deemed to be your use. Remember to choose a strong password, including numbers, capital letters, special characters, etc., and one that is not typically found in a dictionary. You may never use someone else's account, username or password without that person's permission. When creating your account, you must provide accurate and complete information. YOU ARE RESPONSIBLE FOR MAINTAINING THE CONFIDENTIALITY OF YOUR PASSWORD AND ACCOUNT, AND YOU AGREE THAT YOU ARE FULLY RESPONSIBLE FOR ALL ACTIVITIES THAT OCCUR UNDER YOUR PASSWORD OR ACCOUNT, AND THAT THE COMPANY HAS NO LIABILITY FOR ANY ACTIVITIES THAT OCCUR UNDER YOUR PASSWORD OR ACCOUNT. If there is a breach of security through your Account, you must immediately change your password and notify us of such breach. You agree that, unless you have first notified us immediately of any such breach, we should assume that any instruction transmitted using your user ID and password is yours and has been authorized by you, and we will have no obligation to inquire into the propriety of such instruction. You will not permit any use of the Rewards Program and the Site that would damage, interfere with or unreasonably overload the Rewards Program and the Site. The Site may provide hyperlinks, which are highlighted words or pictures within a hypertext document that, when clicked, take you to other websites not controlled by us ("Linked Sites"). These Linked Sites may contain terms and conditions and privacy provisions that are different from those provided herein. In addition, if you use a social media platform or your mobile device or other method of communication to interact with the Company or the Site, these applications also have terms and conditions and privacy provisions that governs the use of personal information related to that application. We are not responsible for the collection, use, or disclosure of information collected through Linked Sites, social media platforms, mobile devices or other methods of communication and we expressly disclaim any and all liabilities related to such collection, use, or disclosure. 11. Agreement to Terms. Registering your card and any use of the card to earn Rewards savings earned through the Rewards Program on qualifying purchases at participating stations and/or to redeem Rewards savings earned through the Rewards Program on fuel purchases at participating stations signifies your agreement to these Terms and Conditions. We may, in our sole discretion, at any time and without prior notice: (i) discontinue transmitting all or any part of the content related to the Rewards Program; (ii) change, discontinue or limit access to the Rewards Program or any participant, reward, functionality, feature or other component of the Rewards Program; or (iii) suspend or terminate your use of or access to the Rewards Program or your account, upon giving you notice of such suspension or termination, if we reasonably believe you have breached these Terms and Conditions. 12. Entire Agreement. 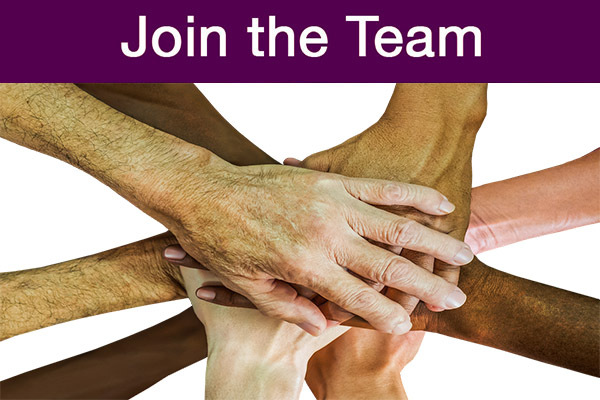 These Terms and Conditions constitute the entire agreement between you and the Company with respect to your participation in the Rewards Program. Any cause of action you may have with respect to your use of the Rewards Program must be commenced within one (1) year after the claim or cause of action arises. You agree that any dispute arising out of the Rewards Program shall be governed by the laws of the Commonwealth of Pennsylvania. If for any reason a court of competent jurisdiction finds any provision of this agreement, or portion thereof, to be unenforceable, that provision shall be enforced to the maximum extent permissible so as to affect the intent of the Agreement, and the remainder of this Agreement shall continue in full force and effect. 13. Changes to Terms and Conditions and Rewards Program. The Company reserves the right at its sole discretion to cancel, change, modify, add or delete any portion of these Terms and Conditions, in whole, and/or in part at any time. Use of the card or other participation it the Rewards Program after modification of these Terms and Conditions will constitute your agreement to be bound by such changes. The Company and participating wholesalers and retailers reserve the right to cancel, change, suspend or discontinue any aspect of the Rewards Program at any time without notice or liability. The Company may impose limits on features and services or restrict your access to parts or the entire Rewards Program without notice or liability. 14. Lost or Stolen Cards. Rewards Program cards are the property of the Company and/or any administrator of the Rewards Program, and may be cancelled or repossessed by the Company and/or any administrator of the Rewards Program at any time. The Company is not responsible for lost or stolen cards. 15. Indemnification and Release. YOU AGREE TO INDEMNIFY, DEFEND AND HOLD THE COMPANY (INCLUDING, BUT NOT LIMITED TO, NOVA8516 LP, DUNNE MANNING STORES LLC (D/B/A HY-MILER CONVENIENCE) AND THEIR PARENT AND SUBSIDIARY ENTITIES, AFFILIATES, SHAREHOLDERS, OFFICERS, DIRECTORS, EMPLOYEES, AGENTS, ATTORNEYS, REPRESENTATIVES, PARTNERS, SUCCESSORS AND ASSIGNS) HARMLESS FROM AND AGAINST ANY AND ALL LIABILITIES AND COSTS INCURRED IN CONNECTION WITH ANY CLAIM DIRECTLY OR INDIRECTLY ARISING OUT OF OR RELATED TO ANY ACTUAL OR ALLEGED BREACH BY YOU OF THESE TERMS AND CONDITIONS, INCLUDING WITHOUT LIMITATION ATTORNEYS' FEES AND COSTS. YOU FURTHER AGREE TO COOPERATE AS REQUESTED BY THE COMPANY IN THE DEFENSE OF ANY INDEMNIFIED CLAIM. YOU SHALL NOT IN ANY EVENT SETTLE ANY INDEMNIFIED CLAIM WITHOUT THE PRIOR WRITTEN CONSENT OF THE COMPANY. WITHOUT LIMITING ANY OBLIGATION TO INDEMNIFY AND HOLD HARMLESS, WITH RESPECT TO YOUR OBLIGATION TO DEFEND, THE COMPANY RESERVES THE RIGHT, AT ITS OWN DISCRETION AND EXPENSE, TO ASSUME THE EXCLUSIVE DEFENSE (INCLUDING EXCLUSIVE CONTROL) OF ANY MATTER THAT IS SUBJECT TO INDEMNIFICATION BY YOU. BY PARTICIPATING IN THE REWARDS PROGRAM, YOU RELEASE THE COMPANY (INCLUDING, BUT NOT LIMITED TO, NOVA8516 LP, DUNNE MANNING STORES LLC (D/B/A HY-MILER CONVENIENCE) AND THEIR PARENT AND SUBSIDIARY ENTITIES, AFFILIATES, SHAREHOLDERS, OFFICERS, DIRECTORS, EMPLOYEES, AGENTS, ATTORNEYS, REPRESENTATIVES, PARTNERS, SUCCESSORS AND ASSIGNS) FROM ANY INJURY OR HARM THAT MAY ARISE FROM PARTICIPATION IN THE DUNNE MANNING LOYALTY REWARDS PROGRAM. 17. No Warranty. THE REWARDS PROGRAM, INCLUDING ALL CONTENT, SOFTWARE, FUNCTIONS, MATERIALS AND INFORMATION MADE AVAILABLE TO YOU OR ACCESSED BY YOU, IS PROVIDED “AS IS” AND “WHERE AVAILABLE” BASIS. THE COMPANY MAKES NO REPRESENTATION OR WARRANTIES OF ANY KIND WHATSOEVER REGARDING THE REWARDS PROGRAM, EITHER EXPRESSLY OR IMPLIEDLY, FOR ANY PARTICULAR PURPOSE AND EXPRESSLY DISCLAIMS ANY IMPLIED WARRANTIES, INCLUDING BUT NOT LIMITED TO, WARRANTIES OF TITLE, NON-INFRINGEMENT, MERCHANTABILITY OR FITNESS FOR A PARTICULAR PURPOSE. THE COMPANY ASSUMES NO RESPONSIBILITY WHATSOEVER, AND SHALL NOT BE LIABLE FOR ANY DAMAGES BY YOUR USE OF THE REWARDS PROGRAM. THE COMPANY AND PARTICIPATING WHOLESALERS AND RETAILERS SHALL NOT BE LIABLE FOR THE USE OF THE REWARDS PROGRAM, INCLUDING, WITHOUT LIMITATION, THE CONTENT AND ANY ERRORS CONTAINED THEREIN. THE COMPANY SHALL NOT BE LIABLE FOR ANY FAILURE OF THE REWARDS PROGRAM ARISING OR RESULTING FROM ACTS OR EVENTS BEYOND THE CONTROL OF THE COMPANY. 18. No Award of Damages; Limitation of Liability. THE COMPANY (INCLUDING, BUT NOT LIMITED TO, NOVA8516 LP, DUNNE MANNING STORES LLC (D/B/A HY-MILER CONVENIENCE) AND THEIR PARENT AND SUBSIDIARY ENTITIES, AFFILIATES, SHAREHOLDERS, OFFICERS, DIRECTORS, EMPLOYEES, AGENTS, ATTORNEYS, REPRESENTATIVES, PARTNERS, SUCCESSORS AND ASSIGNS), AND PARTICIPATING WHOLESALERS AND RETAILERS SHALL NOT BE LIABLE, UNDER ANY CIRCUMSTANCES WHATSOEVER, FOR ANY DIRECT, INDIRECT, SPECIAL, CONSEQUENTIAL OR OTHER DAMAGES ARISING OUT OF THE USE OF THE REWARDS PROGRAM. THIS INCLUDES WITHOUT LIMITATION LOST PROFITS, BUSINESS INTERRUPTION, DAMAGE TO EQUIPMENT, COMPUTER PROGRAMS, OR INFORMATION SYSTEMS, OR THE LOSS OF ANY INFORMATION OR DATA. THE MAXIMUM LIABILITY COLLECTIVELY OF THE COMPANY SHALL NOT EXCEED THE AMOUNT OF ANY EARNED REWARDS FOR ANY DAMAGES OF ANY NATURE, INCLUDING GROSS NEGLIGENCE, ARISING IN CONTRACT, TORT OR OTHERWISE. 19. Arbitration. The terms of these Terms and Conditions are governed by the laws of the Commonwealth of Pennsylvania, U.S.A., without regard to its conflicts of law provisions, and regardless of your location. EXCEPT FOR DISPUTES THAT QUALIFY FOR SMALL CLAIMS COURT, ALL DISPUTES ARISING OUT OF OR RELATED TO THESE TERMS AND CONDITIONS OR ANY ASPECT OF THE RELATIONSHIP BETWEEN YOU AND THE COMPANY, WHETHER BASED IN CONTRACT, TORT, STATUTE, FRAUD, MISREPRESENTATION OR ANY OTHER LEGAL THEORY, WILL BE RESOLVED THROUGH FINAL AND BINDING ARBITRATION BEFORE A NEUTRAL ARBITRATOR INSTEAD OF IN A COURT BY A JUDGE OR JURY AND YOU AGREE THAT THE COMPANY AND YOU ARE EACH WAIVING THE RIGHT TO TRIAL BY A JURY. YOU AGREE THAT ANY ARBITRATION UNDER THESE TERMS AND CONDITIONS WILL TAKE PLACE ON AN INDIVIDUAL BASIS; CLASS ARBITRATIONS AND CLASS ACTIONS ARE NOT PERMITTED AND YOU ARE AGREEING TO GIVE UP THE ABILITY TO PARTICIPATE IN A CLASS ACTION. The arbitration will be administered by the American Arbitration Association under its Commercial Arbitration Rules and Supplementary Procedures for Consumer-Related Disputes. The arbitrator will conduct hearings, if any, by teleconference or videoconference, rather than by personal appearances, unless the arbitrator determines upon request by you or by us that an in-person hearing is appropriate. Any in-person appearances will be held at a location which is reasonably convenient to both parties with due consideration of their ability to travel and other pertinent circumstances. If the parties are unable to agree on a location, such determination should be made by the AAA or by the arbitrator. The arbitrator’s decision will follow the terms of these Terms and Conditions and will be final and binding. The arbitrator will have authority to award temporary, interim or permanent injunctive relief or relief providing for specific performance of these Terms and Conditions, but only to the extent necessary to provide relief warranted by the individual claim before the arbitrator. The award rendered by the arbitrator may be confirmed and enforced in any court having jurisdiction thereof. Notwithstanding any of the foregoing, nothing in this Agreement will preclude you from bringing issues to the attention of federal, state, or local agencies, and, if the law allows, they can seek relief against us for you.